There is no denying that the end of summer is upon us. While that means students returning to classrooms, it also means that the 2016-2017 concert season is arriving, too! Before we get all dressed up for Opening Night Galas, let’s have a look at what we can expect in the coming months. We have been keeping tabs on the repertoire performed by America’s most recognized and respected orchestras through the repertoire reports published by the League of American Orchestras. Unfortunately this information, while hugely valuable, is also flawed. It requires on ensembles to self-report (which some are more diligent about than others) and takes a great deal of time to organize, collate, and publish (currently the most recent repertoire reports available are for the 2010-2011 season). For the past two years the Baltimore Symphony Orchestra has done their own investigation in what is being heard; specifically, examining the 21 American ensembles that boast the highest budgets. The information they gather about repertoire — including historical period, composer nationality, and gender – is not surprising to those of us who have been paying attention, but it has been effective in raising awareness about the lack of diversity that exists in today’s orchestral programming. (Check out the full stats on the 2014-2015 season here and the 2015-2016 season here). 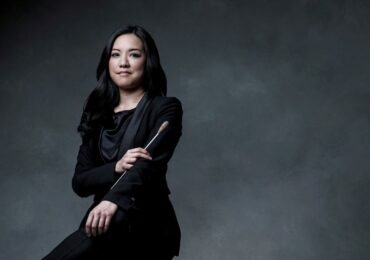 While we await the Baltimore Symphony’s thorough analysis, I took a quick look at who is performing works by women this coming season, with some interesting and surprising results. The Houston Symphony will perform the world premiere of Gabriela Lena Frank’s Requiem May 5, 6, 7. The piece was commissioned by the Houston Symphony. The Milwaukee Symphony will perform Hav by Swedish composer Malin Bång on October 22 and 23. The Seattle Symphony will perform In the Shade of an Unshed Tear by Agata Zubel on October 27 and 29. The Boston Symphony Orchestra will present the American premiere of a new work by Sophia Gubaidulina, Triple Concerto for violin, cello, and bayan on February 23. The work was co-commissioned by the Boston Symphony. The only historic work composed by a woman being performed this season is by the Philadelphia Orchestra. Michael Tilson Thomas as guest conductor will be leading the ensemble in a performance of Ruth Crawford Seeger’s Andante for Strings (1931) on March 10, 11, and 12. 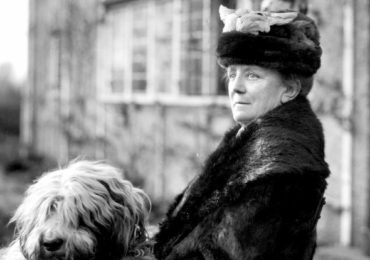 Which leaves only two ensembles performing more than one work by a woman composer. Throughout his tenure at the New York Philharmonic, Alan Gilbert has built a reputation for unusual, and invigorating, programming. In his final season at the helm, Gilbert has chosen to include four works by women – all of which will be celebrating a premiere. Lera Auerbach‘s Violin Concerto No. 4, a commission by the New York Phil, will have its World Premiere on March 1, 2, and 3. Anna Thorvaldsdottir‘s Aeriality receives its New York premiere on May 19, 20, and 23. Julia Adolphe‘s Unearth, Release (Concerto for Viola and Orchestra) was also co-commissioned by the New York Phil and the League of American Orchestras. The New York Premiere will be heard on November 17 and 19. And Tansy Davies will present a to-be-named new work featuring four horns, which will receive its U.S. 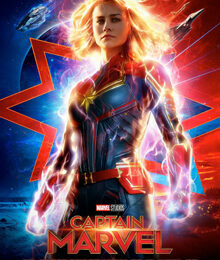 Premiere April 27 and 29. This work was also co-commissioned by the New York Phil. While these four works are exciting, placing them in context of the 87 others listed for the season helps create some vital perspective — those four pieces are about 5% of the total programming. In addition, the Baltimore Symphony will perform Anna Clyne‘s Within Her Arms on March 2, 3, & 4. 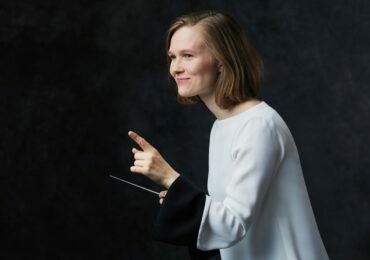 With the inclusion of the three commissioned works being heard this year and the additional work by Clyne, the BSO’s four works ties the New York Philharmonic for the most performed works by women of the “top” American orchestras for 2016-2017. When put in context of the 76 total works being performed in Baltimore, however, the 5% representation is still disappointing. It will be intriguing to watch the upcoming season unfold: we will have some works by women included by orchestras that previously avoided doing so, plus we will have the industry-wide interest in the issue of diversity (as represented by the recent LAO conference), and finally, we have the historic nomination of Hillary Clinton as a Presidential candidate, making the point that women can indeed achieve at the highest level in every field. In music, women have been breaking these glass ceilings all along as the art form developed, but particularly in the realm of orchestral programming, those ceilings need to be continuously “re-shattered” – the wheel reinvented – in order to achieve something beyond than marginal recognition. One example demonstrating inventiveness and commitment to diversity is the new SHIFT Festival of American Orchestras founded by Washington Performing Arts and the Kennedy Center. This celebration of innovative programming was inspired by the successful Spring for Music Festival that took place in Carnegie Hall (2011-2014). The inaugural 2017 Shift Festival includes performances by the Atlanta Symphony Orchestra, Boulder Symphony (CO), The Knights, and North Carolina Symphony. As with the Spring for Music Festival, innovative programming is encouraged – and there are great performances to anticipate from two ensembles in particular. The North Carolina Symphony offers an innovative program, deeply evocative of North Carolina, represented in particular by four composers with ties to the state: Pulitzer Prize winner Caroline Shaw, Sarah Kirkland Snider, Mason Bates, and Robert Ward. 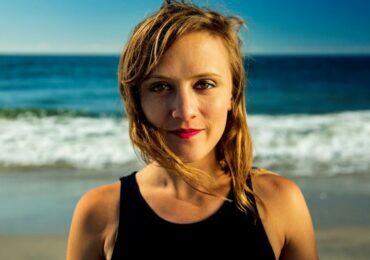 Snider’s work is a North Carolina Symphony commission, premiered in fall 2015, which includes a multimedia meditation on her family’s home in rural North Carolina. This deeply collaborative and creative chamber orchestra from Brooklyn brings a program featuring the San Francisco Girls Chorus, led by Lisa Bielawa, who is also writing a work commissioned by The Knights. The evening is rounded out with works by Brahms, Vivaldi, Aaron Jay Kernis, and a piece written collaboratively by the orchestra. Historically, musicians, academics, and music enthusiasts have turned to “top” orchestras and conductors as leaders in the industry to guide performance practices and highlight what music we should be paying attention to. I am hopeful that now these “top” industry professionals will now begin paying attention to what their audiences and communities are eager to hear. Throughout the coming season I will be highlighting as many exciting, innovating, and inclusive concert programs as I can find – and most will not be happening at big-budget ensembles. Many come from the wonderful ensembles who have been awarded WPA Performance Grants (the Fall 2016 application is now available!) – but I encourage everyone to let me know of the music that is happening in your communities so we can continue to celebrate exciting programming wherever it is happening! Next articleSeptember Calendar Now LIVE! NY Phil is also presenting a full program by Kaija Saariaho (Armory, October 13 & 14) and Unsuk Chin’s Graffiti December 1 & 2. Ms. Whitney, we will surely mention the Saariaho concerts (although what we are looking for is mainstream orchestral programming — these Saariaho concerts are at a special venue, and tickets are sold by the venue, not the orchestra). I do not see any mention of the Unsuk Chin that you mention, can you send us a link?? Thank you.